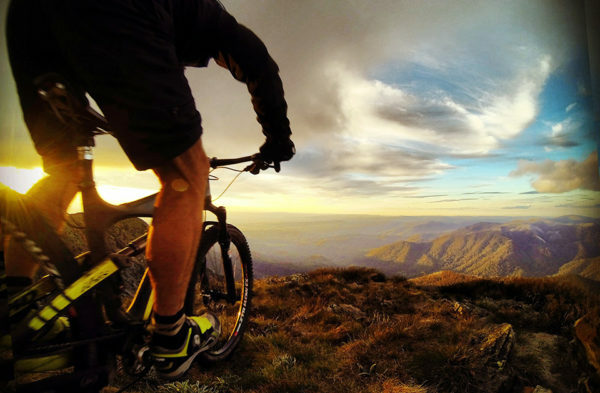 A while back Sacred Rides asked mountain bikers around the world a simple question: Why do you ride? The answers were put together to create what I think was a fairly inspiring video. I’ve never really been able to put why I ride into words but living and working up at Mt Buller over Summer is definitely tapping into the core of it. It’s reminded me that the heart of mountain biking really does lie in the mountains. The huge feelings of space and freedom, the views, the brutal climbs, the never ending descents plus a whole lot more. Living at Buller has also reminded me of the many Summers spent roaming the Bogong High Plains in the early 1990’s on my old Stumpy. While I have many great memories of those adventures, being pre-digital and pre-internet I hardly have a single image from those years to share with others. Maybe in the zen of it all, that’s how it should be but it has been a lot of fun to explore the idea of ‘This is why I ride’ through images while living at Mt Buller. This image is my favorite so far. Thanks Michael! I took it using a Gopro with a wireless remote on the handlebar.